Over at Deep Sea News, RR Helm has dished out all the grisly details on rhizocephala, a class of barnacle that looks NOTHING like the barnacle you're imagining in your head and spends its days parasitizing crabs, in a way that outstrips the imagination of even the most sadistic horror writers. 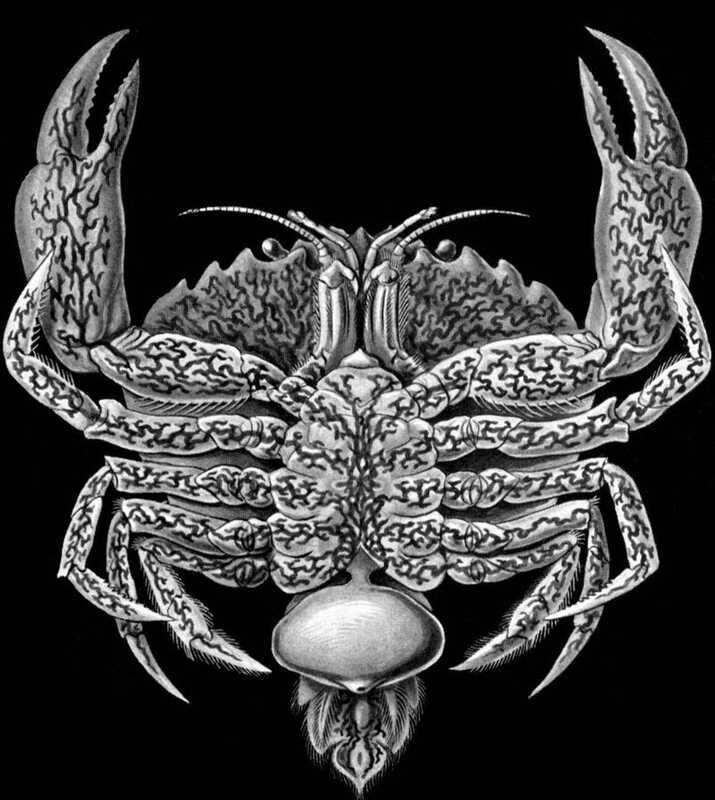 Imagine you're a crab, and for full effect, imagine you're male. You're lingering on the shoreline, the warm sun on your back, cool water in your gills. You're reached a large size, dodging the many dangers of youth. Life is going well. But today you begin to feel strange– maternal almost– as if there is something growing inside you, and in fact, something is. Its roots are crawling through your tissue, your gut, your brain. Its a rhizocephalan barnacle, and it's about to take you over. Your new tormenter is a member of one of the strangest groups of animals known. The adult female body of the rhizocephalan is twisted and deformed, not resembling in any way its barnacles cousins living on rocks near shore. She has lost her hard shell, her legs, her eyes, and transformed into sickly yellow roots and sinuous twisting filaments that are slowly grow like black mould through your tissues. But she looked normal once: when she was young. As a juvenile she looked like a normal barnacle larvae, only a few millimeters long. But her juvenile body had one terrible difference: her head was tipped with a needle protruding form her shell. When she found you, she used her body like a hypodermic syringe: stabbing you and injecting her own cells under your skin. All that's left of her is now growing and spreading like a cancer through your system. You've stopped growing. Her fibrous tentacles are consuming your extra energy. Trust us – it only gets worse from there. Read the rest over at Deep Sea News.